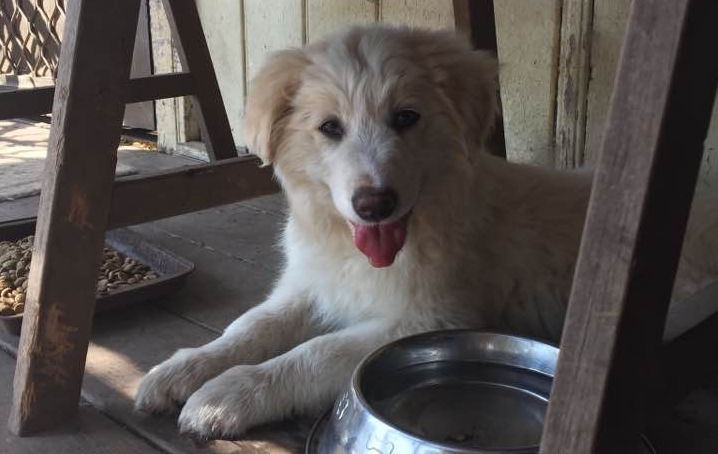 Cris Howard would like everyone to meet Snow the border collie who is a true water dog and a loving companion! advertised him on Gumtree. She was located about 2 hours from Corlette, Port Stephens where we live. to see him and explained he was to be my companion. I am 62 and have a permanent disability. The breeder eventually agreed to sell him on the condition she be kept up to date on his development. I fell completely besotted with him and was lucky enough to have it reciprocated. Our previous border collie was a chocolate tri-colour called Bonnie. She was my girl and lived to 16. Snow is an integral part of the family. 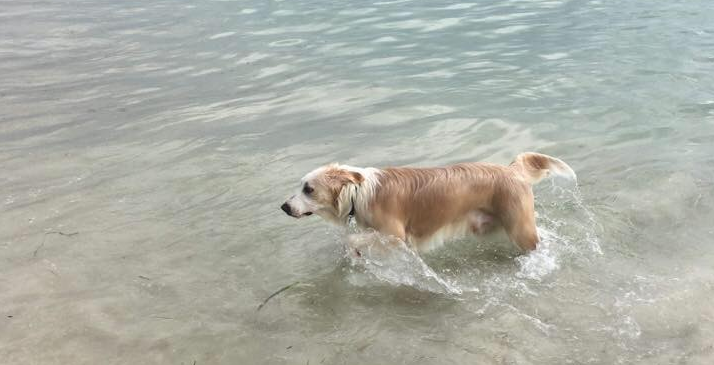 He is a water dog and enjoys our dog beaches in the bay. 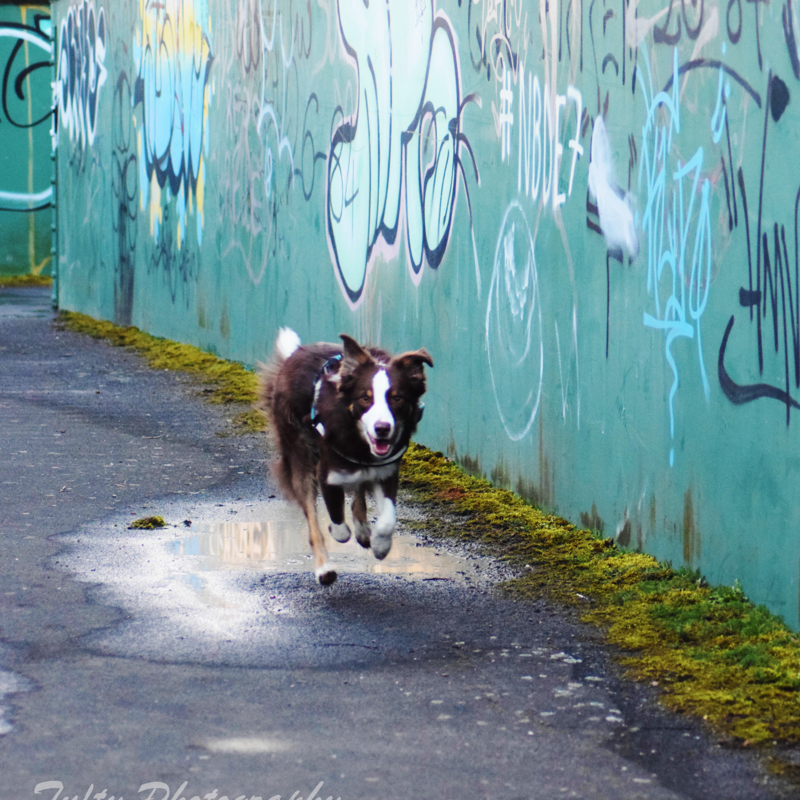 Bailey the Border Collie is a Loyal and Comforting Friend! Was adopted as a puppy from a dog trainer whom had an accidental litter. Does he have any special talents or tricks? Bailey is great at learning commands. He learnt twist in 5 minutes and now doesn’t stop spinning. 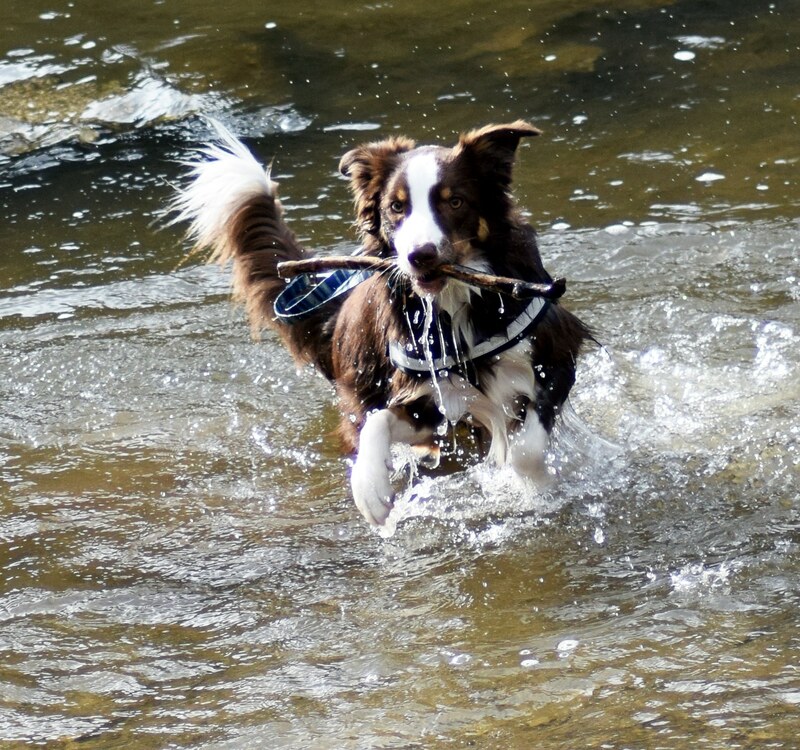 He has a huge obsession with sticks and once found a log that had drifted through the river and managed to drag is around 50ft before admitting defeat. The thing I love the most is how loyal and comforting he is. He will protect you but also give you so much love in return for the slightest bit of affection. 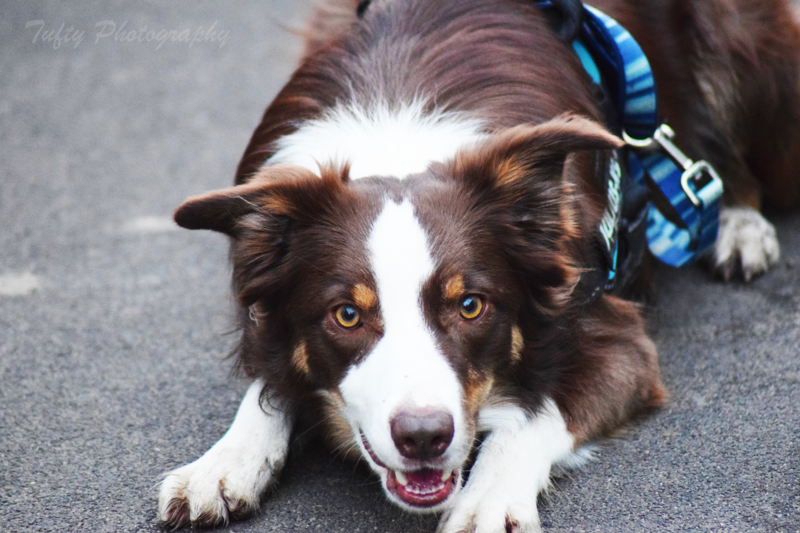 Do you have any interesting or funny stories to share about your border collie? Bailey once stole a ball from a young child and ran across a huge field with it because he thought it was his from home. Mom wasn’t impressed having to retrieve the ball to hand back to the child. Bailey also fell off a canal path and had to be fished out. Bailey is a great companion and would not live without his best friend, star. The black and white cat. They are inseparable and we love the bond they have. 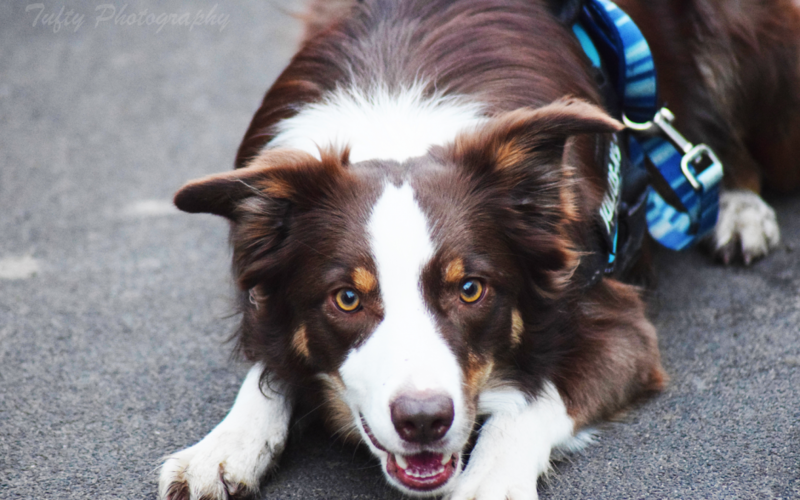 Here’s the latest BorderCollieFC member to be featured in our Intros & Hellos page! 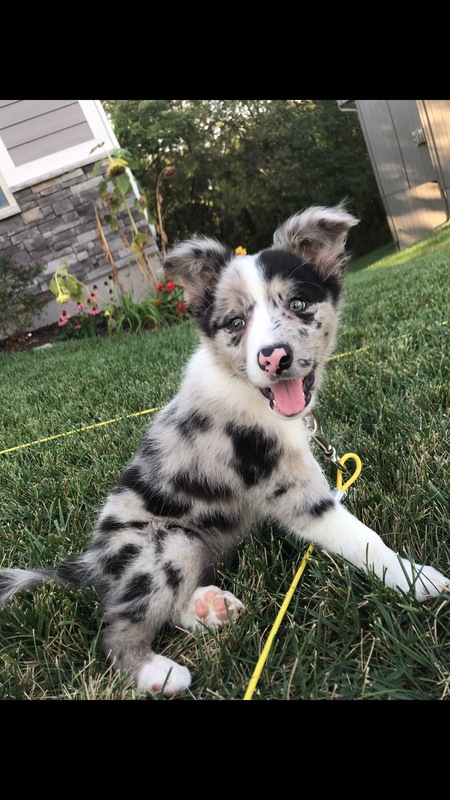 Meet Piper everyone! 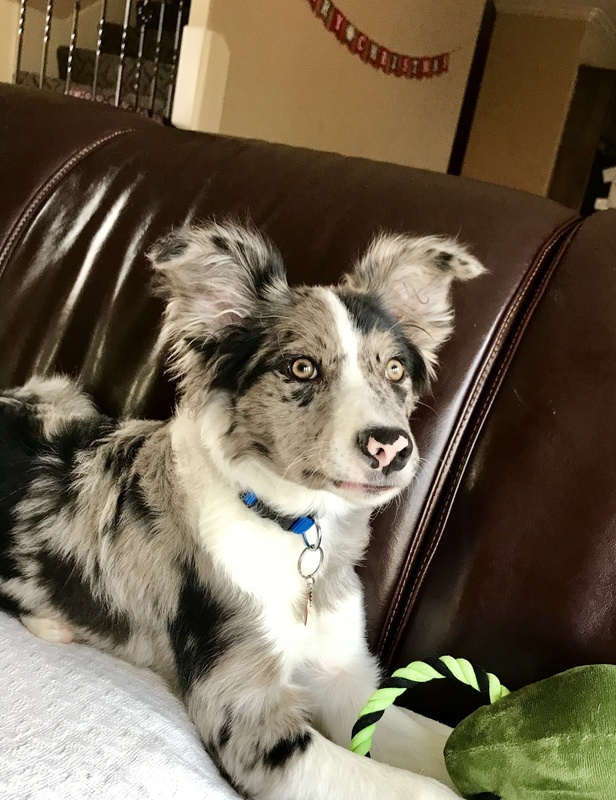 She is a 5 month old blue merle Border Collie. 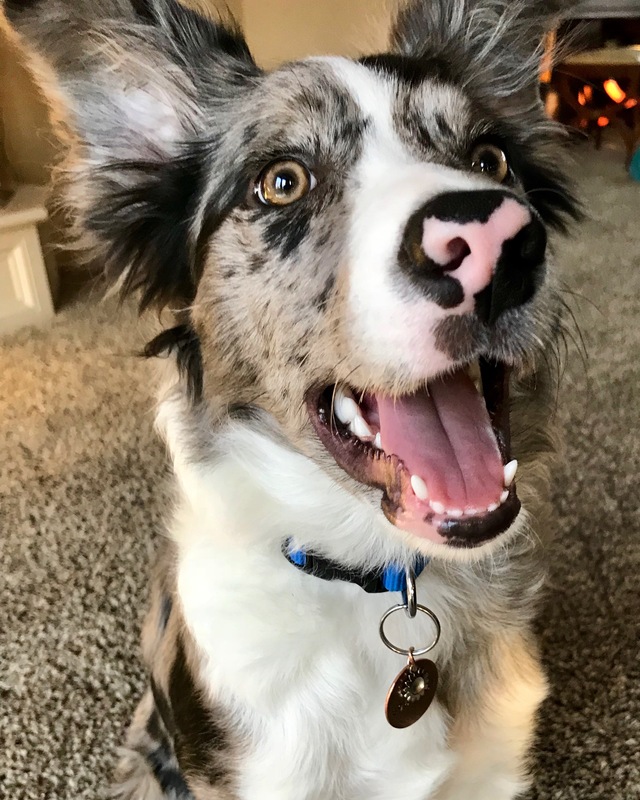 We got her from Firestorm Border Collies in Kansas. We just love her. She has a great personality. So far she knows many tricks. 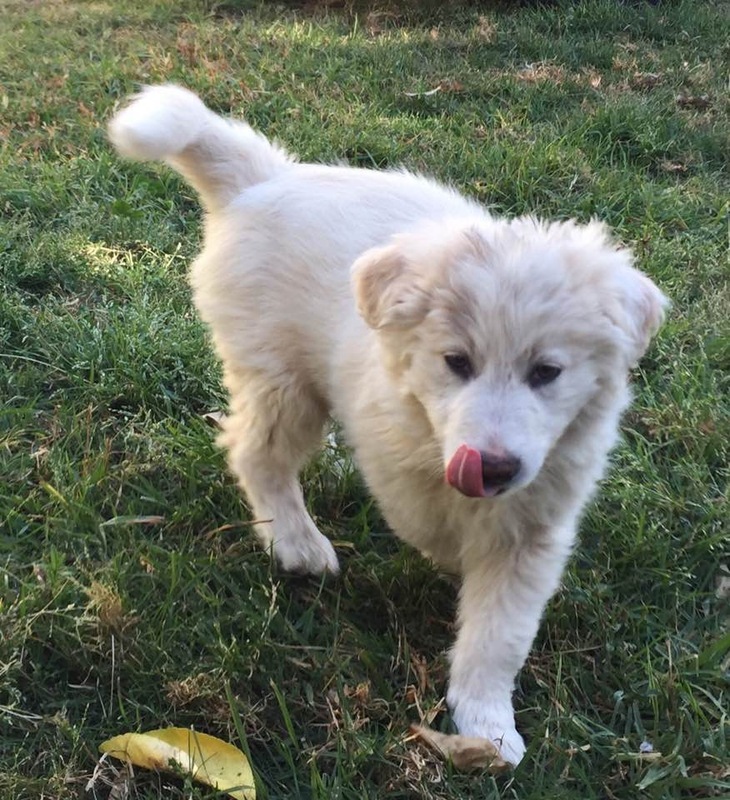 Our favorite so far is she is learning impulse control and it’s fun to watch her learn. She also loves to play frisbee. 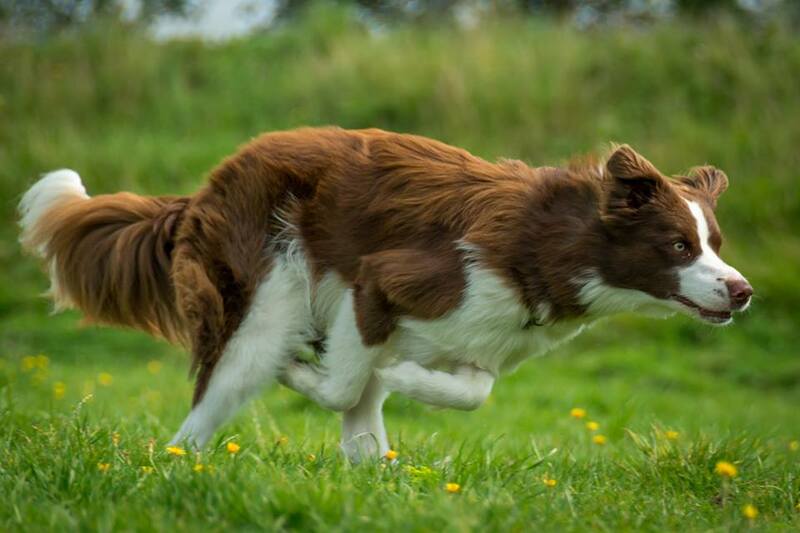 The thing I love most about having a border collie is how much fun she is. She’s super smart and I love watching her grow and learn. 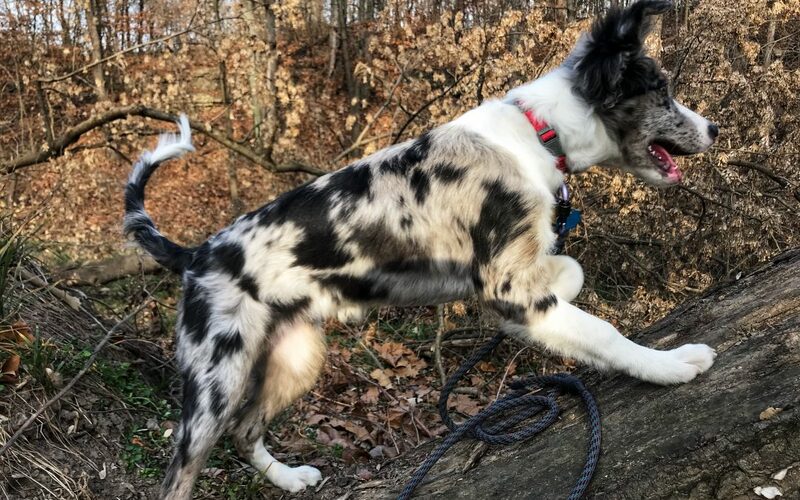 Filip Stubbe would like everyone to meet Fly the Border Collie and a few of his furry, four-legged friends! 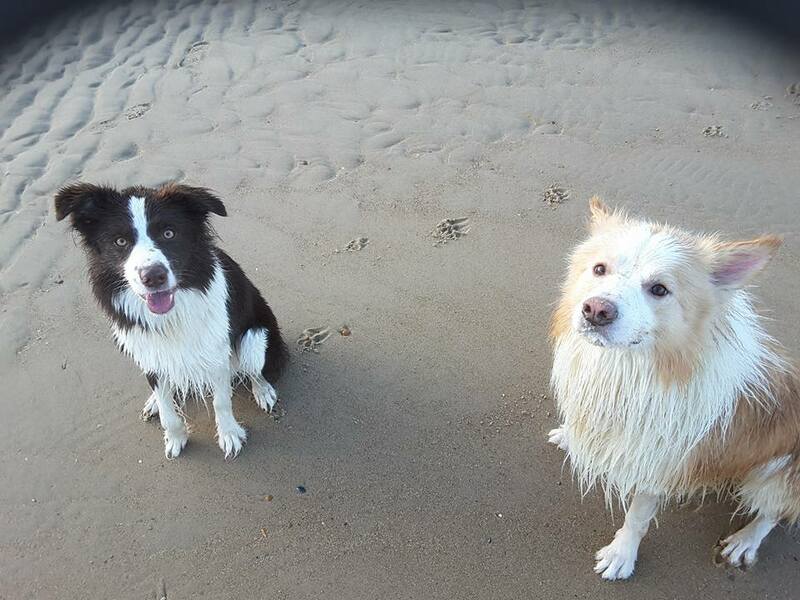 He’s on the beach almost every day and loves to run and play in the sea with his best buddy Rodger! Fly is also very gentle with all types of animals and people and very intelligent. He even has a best cat friend named Oscar!